I promised myself some sewing time the day after Christmas, and decided it would be wise to work on something that would push me a little. 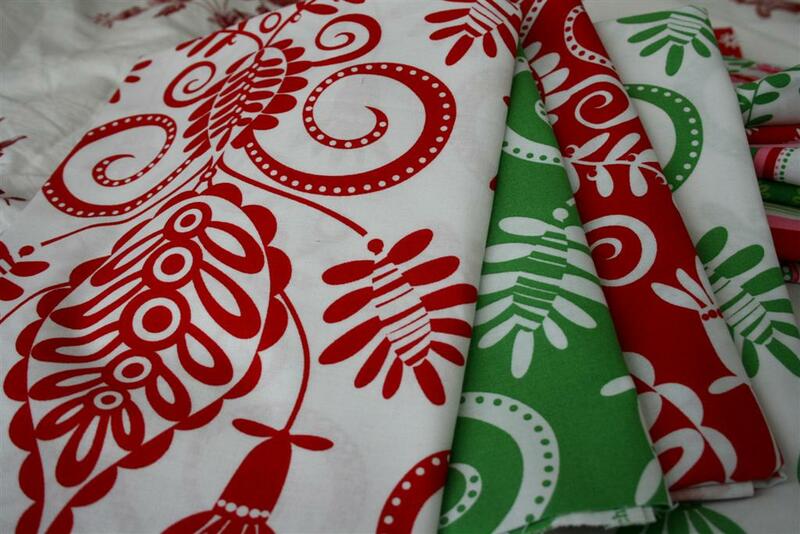 Christmas, by Pillow & Maxfield, is a bundle of fabric I bought on a great sale a few months ago. 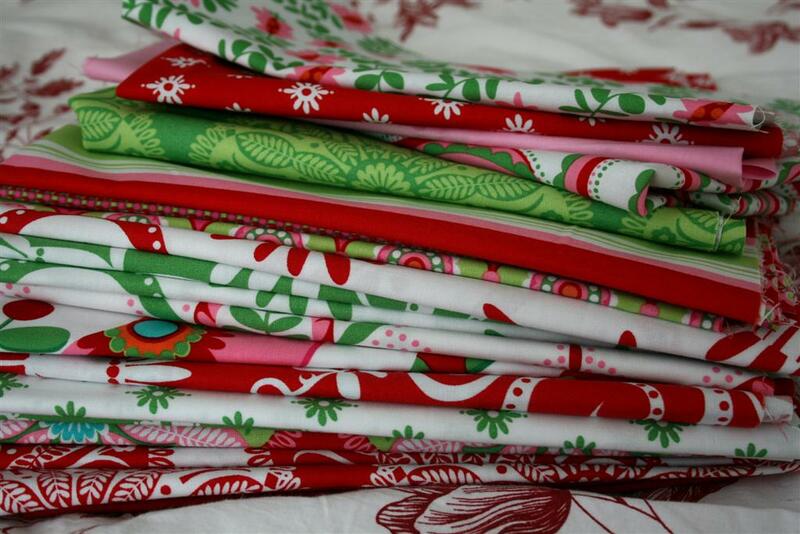 I did a lot of Christmas themed sewing this year, but didn’t get to this stack. It’s bright and bold, and how could I resist one of my all-time favorite prints in new colors? After thinking about Camille’s block (for a lot longer than I realized, apparently!) I decided to try it in the Pillow and Maxfield prints. 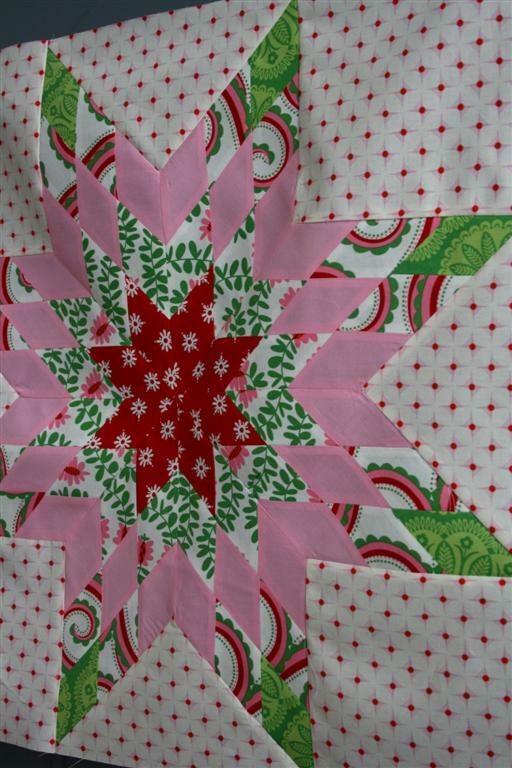 I was a little worried about how the large scale prints would read in this quilt, but I decided to try it anyway. I think they look just fine. I’m using Heather Bailey’s Hop Dot print from the Nicey Jane collection as a background print, because I’ve been itching to make a quilt with a pattern for the background instead of a solid. The Hop Dot is a nice compliment to the Christmas prints. 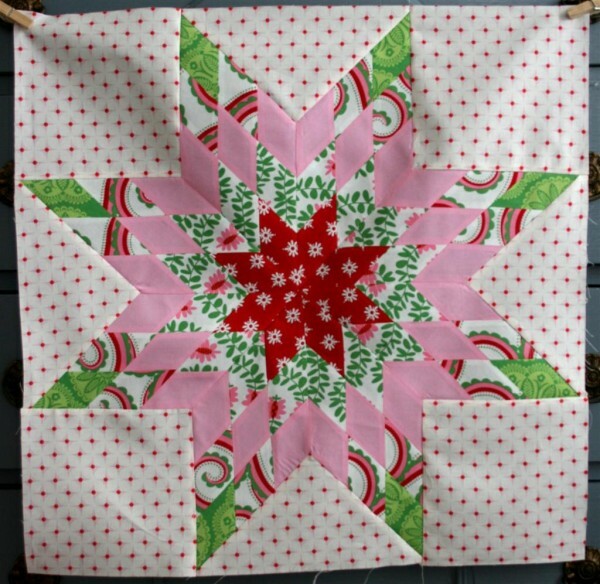 I’ve never made a quilt with diamonds before, so this was a good exercise for me, especially in figuring out a way to pin everything so my points matched up perfectly, which I eventually did. It was also an exercise in getting comfortable with “Y” seams, another thing I’ve avoided in general. After doing eight of them last night, they’re not so bad. So, lots of pins, lots of Best Press, slow sewing, and I’m thrilled with my first block. I’ve got the second one sitting on the table waiting to be pieced. I wonder if I can come back to this once a month until all 16 blocks are done…. it’s tedious enough that I’m itching for some kind of quick finish project. 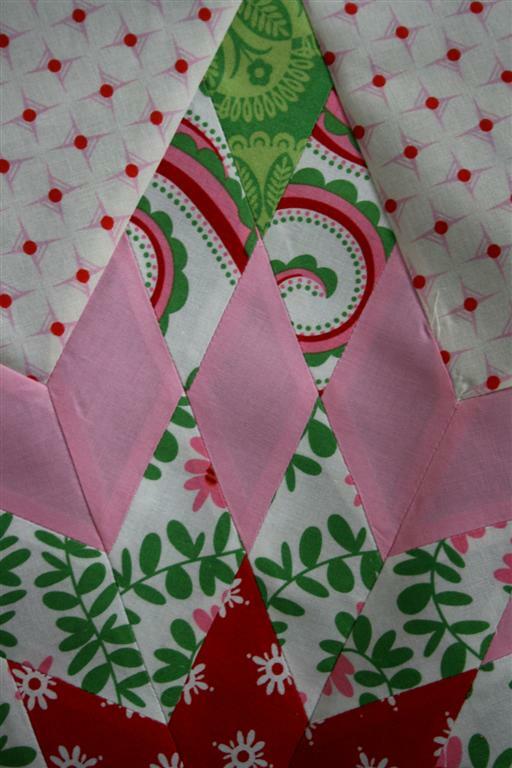 Are you like me, with 15 quilts or patterns dancing around in your head, just waiting for you to make? I sat down the other day to list them all and I was shocked by the final number. There is so much I want to do, it’s hard to decide where to start! 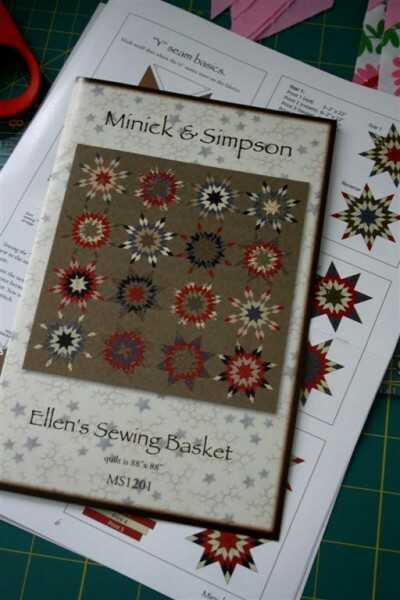 What’s on your sewing list for 2013? She has a great skill builder tutorial.